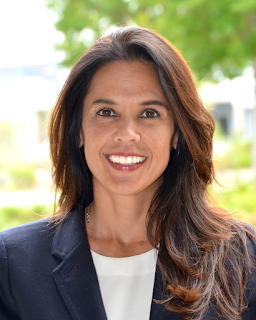 Julianna M. Barnes, vice president of student services at San Diego Mesa College, has been selected to serve as president of Cuyamaca College effective October 5. Barnes was selected following a nationwide search, and was one of three finalists invited to participate in public forums at the Rancho San Diego campus. She emerged as the top choice for president following interviews with district leaders and the Governing Board. Cindy L. Miles, chancellor of the Grossmont-Cuyamaca Community College District, said Barnes’ passion and leadership skills stood out in her qualifications to lead the Rancho San Diego college, which has about 9,000 students. This will be a homecoming of sorts for Barnes, who served as vice president of student services at Cuyamaca College before taking the job at San Diego Mesa College in February 2013. Diane Stoltz was one of the nearly 9 million Americans who lost their job during the Great Recession. 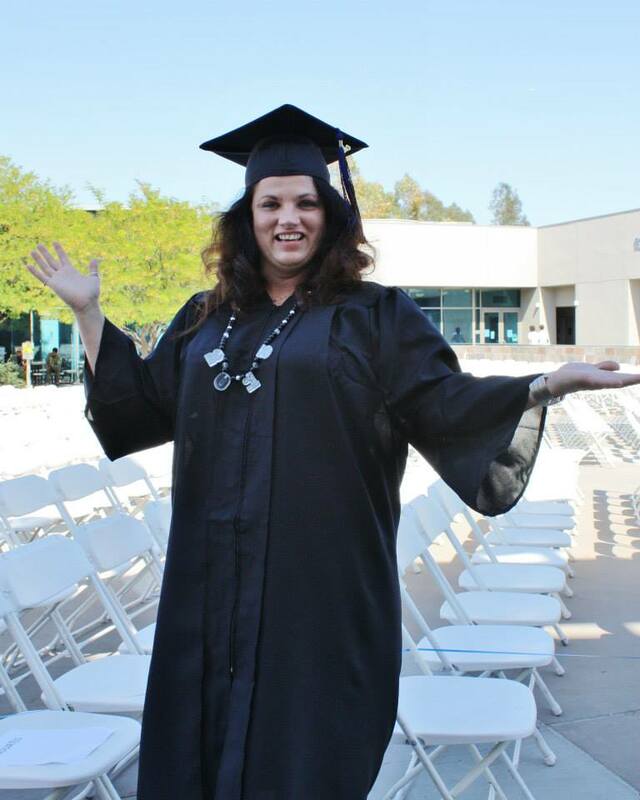 She turned her life around after enrolling at both Grossmont and Cuyamaca colleges. Now she’s taking the skills she learned and putting them to use in her new career at a North County water district where she inspects water distribution systems and connections. Stoltz, 46, had worked for San Diego for about 13 years inspecting vehicles bought and sold by the city. Less than a year after losing her job, she enrolled first at Grossmont College, then at Cuyamaca. Stoltz immersed herself in her studies, securing an Associate of Arts Degree in Arts and Humanities along with an Associate of Science Degree in Math and Science in 2013 from Cuyamaca. But after meeting with a Cuyamaca College counselor who suggested she talk to then-Cuyamaca College Water/Wastewater Technology program coordinator Donald Jones, her focus changed. Communication across cultures. Diversity and social justice. The worldwide struggle for African liberation. Fostering engagement among college men of color. Understanding LGBTQIA issues. These topics are on tap for fall 2015 at Cuyamaca College’s Diversity Dialogues, a series of workshops focusing on a variety of diversity awareness and social justice issues. The typically hour-long workshops have become well-established venues for discussions and exercises centered on topics like race relations and student equity. This semester’s seven workshops are free and open to the public. A former administrator at Monroe Community College in Rochester, N.Y., is Grossmont College’s new dean of career and technical education and workforce development. Javier Ayala, or “Dr. J.” -- a moniker the Julius Erving fan picked up from his classmates when he earned his doctorate -- oversees 63 vocational departments and programs, including administration of justice, business administration, business technology, child development, computer science and information systems, culinary arts, and hospitality, along with health and workforce initiatives and non-credit instruction. 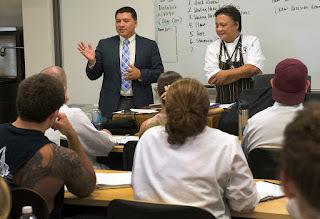 Javier Ayala introduces himself to Culinary Arts students. Grossmont College students on a career-technical education or CTE track focus on the skilled trades, applied sciences, and modern technologies that make up the bulk of today’s jobs. The Grossmont-Cuyamaca Community College District regards workforce and career preparation a critical part of its two colleges’ service to the community, along with meeting student needs for university transfer, general education and basic skills courses. 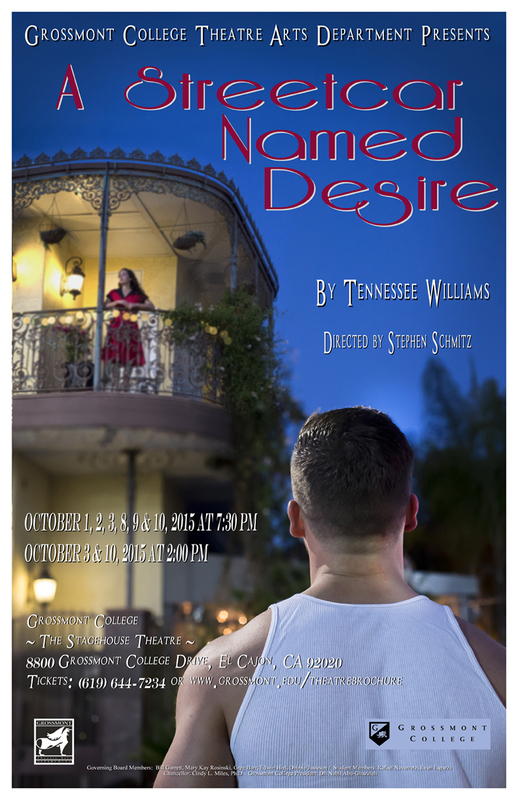 The 2015-16 Grossmont College Theatre Arts season featuring student cast members and crew opens Thursday, Oct. 1 with “A Streetcar Named Desire,” one of the most celebrated plays of the 20th century. 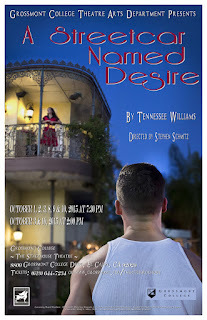 The play by Tennessee Williams captured the New York Critic’s Circle Award for Best New Play and the Pulitzer Prize for Drama following its 1947 debut. It is an unflinching look at post-World War II America reflected in the crumbling fantasy world of a wistful Southern belle. With her checkered past, Blanche DuBois comes to stay with her sister and brother-in-law in a working-class neighborhood of New Orleans and tensions quickly escalate. Ford ASSET, the only automotive technology training program of its kind in the county, is revved up to start anew at Cuyamaca College for the fall semester, and there is still time to enroll. The Aug. 17 start of the fall semester marks the program’s return at the Rancho San Diego college after a recession-driven downturn and the retirement of the veteran instructor who started the program at the college in 1988 put the program in hiatus in 2013.